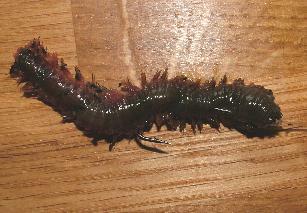 Ragworm is a very effective bait for all manner of species. It can be prepared both head hooked, body hooked or into sections. The pictures show a few hooked examples. Ragworm is a very effective bait for all manner of species including pollack, wrasse and bass. It can be prepared both head hooked, body hooked or into sections. Hooking the whole worm on the head is extremely effective for reef pollack and bass. Ragworm is a very effective bait for all manner of species including pollack, wrasse and bass. It can be prepared both head hooked, body hooked or into sections. This is an ideal way of preparing your ragworm when fishing for wrasse. Cutting the body before just before the hook, allows juices to flow and also the fish to take the bait and hook, and not just the worm tail.